Carnegie Mellon University Press, 9780887485435, 120pp. 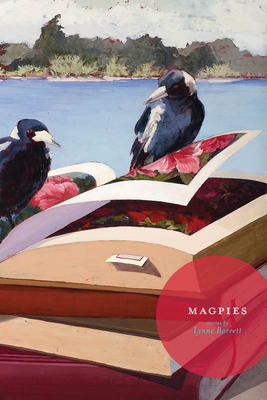 In Magpies, Lynne Barrett's characters move through the past decade's glitter and darkness. From the Internet's fragmented pages to a gossip columnist's sweet poison to the ABCs of a hurricane season, these tales explore story form and storytelling as a means of connection, betrayal, and survival for characters who learn, sometimes too late, the value of what's grasped and what's lost. LYNNE BARRETT's work has appeared in Miami Noir, A Dixie Christmas, Delta Blues, Ellery Queen's Mystery Magazine, Apalachee Review, Saw Palm, the Southern Women's Review and many other anthologies and magazines. Magpies is her third collection of short stories. She has received the Edgar Allan Poe Award for best mystery story from the Mystery Writers of America and fellowships from the Florida Division of Cultural Affairs and the National Endowment for the Arts. With her husband and son, she lives in Miami. She teaches at Florida International University and edits The Florida Book Review. More information can be found at http://www.lynnebarrett.com/.